I have had so much fun teaching the alphabet this year. We have done lesson plans based on books AND lesson plans based on seasonal themes and both allow me to really become creative as a mom and a teacher. I just love seeing their eyes light up when I introduce another activity that they are excited about. (They don’t get excited about everything. Real Life, y’all). I decided to create these very basic, but forever free alphabet printable coloring pages to complement our lessons. 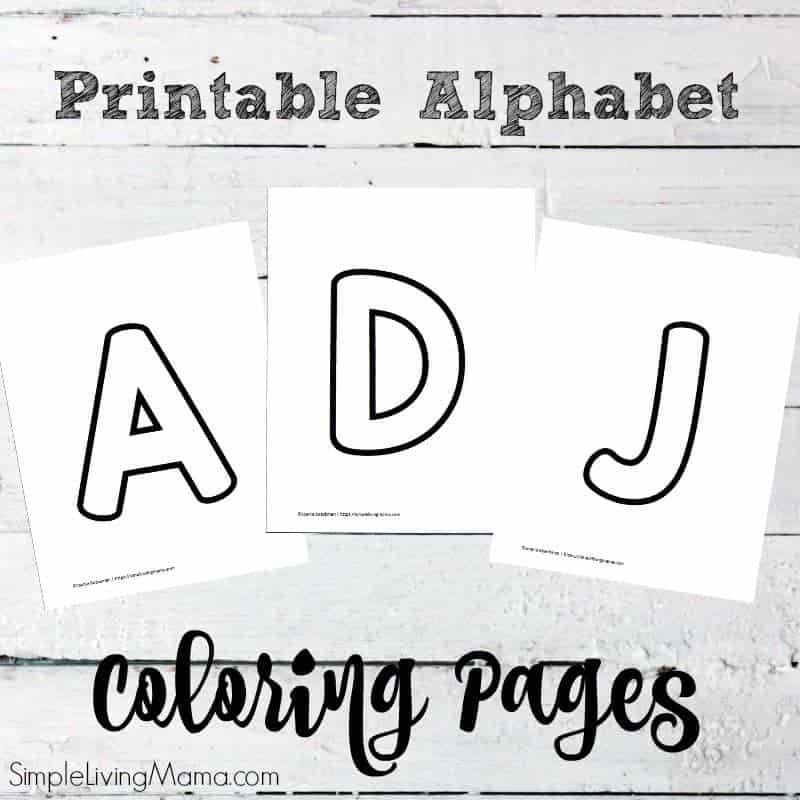 There are so many ways these simple A-Z coloring pages can be used! I knew I wanted to easily pull some large, plain alphabet coloring pages out whenever we were studying a particular letter in our alphabet notebook, or learning how to write it in one of our preschool lesson plans. I found a great font and quickly created these ABC coloring pages to use in a variety of ways. Coloring Pages – Of course, these pages can be used as basic coloring pages. Give your child some crayons, markers, or watercolors and let them decorate their letters however they want! Do-A-Dot Marker Pages – We love do-a-dot pages. Challenge your child to make dots all on the inside of each letter. Letter of the Week Craft Pages – While we do not do a particular letter of the week curriculum, these letters could complement any curriculum! Make an alligator out of the letter A, or a butterfly out of the letter B. You can print these pages on card stock to make them sturdier and easier to craft with. We will be doing an apple unit next week, and I plan on having the kids decorate the letter A with hand drawn apples! Playdough Mats – What kid doesn’t love playdough? Laminate for a fun ABC playdough mat. Sticker pages – Give your child a book of stickers and challenge him or her to find as many objects as they can that begin with your chosen letter. Decorate your page with the stickers! These printable alphabet coloring pages are forever freebies in my shop! Hop on over there and add them to your cart! 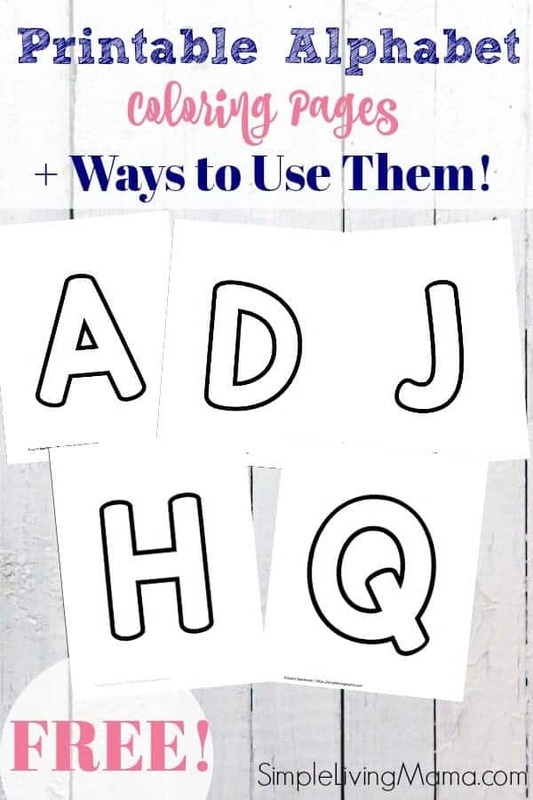 I LOVE to help homeschool mamas with alphabet resources! I have several!